Dr Chiara Formichi completed her MA in South East Asian Studies at SOAS back in 2005. She then continued at SOAS to write her doctoral thesis in the Department of History. After holding positions in Singapore (post-doctoral fellow at the Asia Research Institute), Leiden (research fellow at the KITLV), and at the City University of Hong Kong, Dr Formichi is now Assist. Prof. in Southeast Asian Studies at Cornell University. 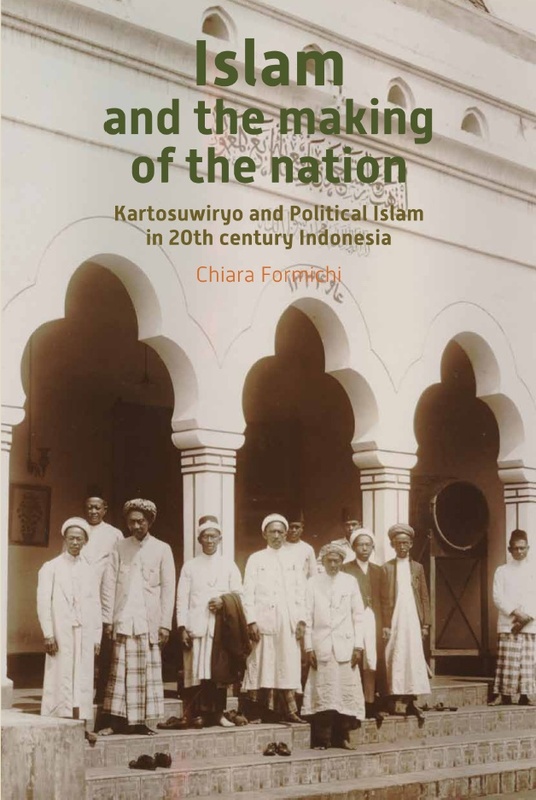 Her monograph Islam and the Making of the Nation: Kartosuwiryo and Political Islam in 20th Century Indonesia was published in 2012. 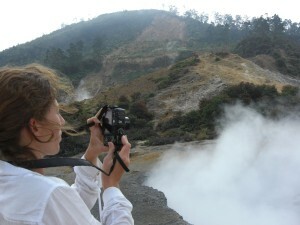 Most of my childhood was spent in Indonesia, and I returned to Italy for schooling in my teens. After starting an undergraduate programme in Islamic Studies in Rome, I wanted to connect my personal history to my studies – isn’t Indonesia the largest Muslim country in the world, after all? Yet, as I embarked in this direction, I realised that options in my home-country were very limited. I had all the necessary resources to learn Arabic and Persian, but I had to commute by train for 6 hours to take a module in Indonesian Language and Literature. I completed my Laurea and hopped over to London to study Southeast Asia at SOAS. I couldn’t have made a better choice. Arriving at SOAS was inspiring. I recall meeting with Pak Ben before the beginning of classes – he was to assess my language skills – and he made it clear that my broken “market” Bahasa was not good enough to enrol in year two! My self-confidence was crushed. How could I have been able to function in Indonesia for so many years, and not be qualified for “intermediate” Indonesian? Three weeks into the term I found myself struggling with subtleties of grammar I had never before noticed. It was not until later, when I had returned to Indonesia to research my Ph.D., that I grasped the full importance of those classes. Meeting with military officers, bureaucrats, professors and religious scholars; giving lectures; reading archives from the late-colonial period and the daily newspaper; listening to recorded oral history and watching TV; all were possible only thanks to Pak Ben and Pak Din! Left to my own devices I would have never left SOAS (even though the food and weather are much better across the Indian Ocean! ), and part of me never did, really. After the MA in Southeast Asian Studies I spent a year travelling across Southeast Asia, visiting new places and spending time with SOAS friends who had returned home from the UK. A year later I was back at SOAS to pursue a Ph.D. in Southeast Asian History. Although I entertained other – maybe more “prestigious” – universities in the UK, Europe and beyond, returning to SOAS was a no-brainer. No other school holds the same concentration of material and human resources on Southeast Asia. Language teaching, library holdings, professors, fellow students, food outlets and artistic exposure, are all there, at your fingertips. I have since crossed the Atlantic, as I teach Southeast Asian Studies at Cornell University (Ithaca, NY). Inspired by my advisor, Prof. Clarence-Smith, and other SOAS teachers, I endeavour to share the same interdisciplinary spirit and multi-sited analysis, as I offer classes merging Islamic Studies and Asian Studies. The relationships formed at SOAS remain active and a vital part of my personal and professional lives. Some former classmates are still my best friends, now scattered across the globe. Others are now established scholars and cherished colleagues, with whom I am occasionally lucky enough to collaborate. And the professors still answer my queries, read my drafts, listen to my academic dilemmas, and offer the wisest and kindest advice.